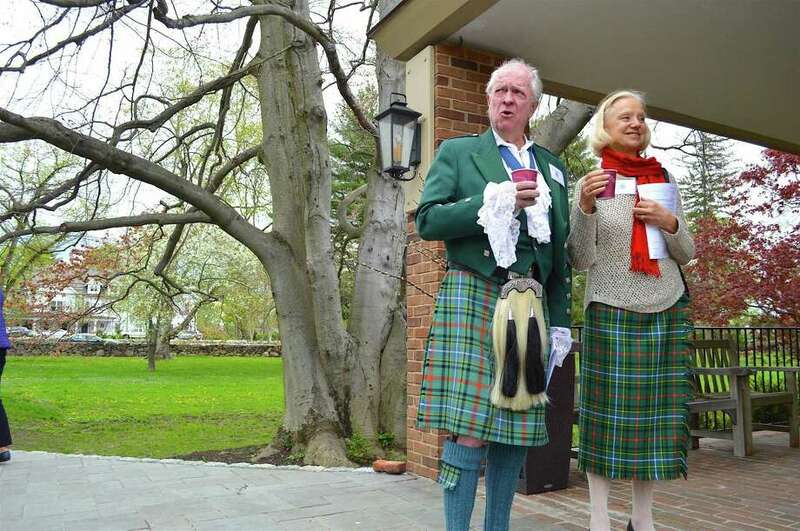 Alfred and Asa Bisset of Darien in traditional garb at the 44th annual Scottish Heritage & Kirkin o' the Tartan service at First Presbyterian Church, Sunday, April 30, 2017, in New Canaan, Conn.
NEW CANAAN — Scottish tradition was celebrated Sunday morning in New Canaan when First Presbyterian Church hosted its 44th annual Scottish Heritage & Kirkin o’ the Tartan Service. Accompanied by the bagpipes of Mt. Kisco Scottish, homemade shortbread and lots of plaid, the service and celebration gave many people the opportunity to attend church in the customary clothes of their Scottish heritage.